Iwaki – A new shopping complex opened Tuesday in the town of Naraha, Fukushima Prefecture, nearly three years after the government’s evacuation order following the 2011 nuclear disaster was lifted. The public facility, dubbed “Kokonara Shotengai,” consists of 10 shops including a supermarket, a bakery and a barber’s shop. The Chinese character meaning “laughter” was used as part of the name as a way to encourage and inspire returning residents. The new shopping complex is adjacent to emergency public housing, a medical institution and a childcare center. It replaces a makeshift shopping district located elsewhere in the town. Local residents welcomed the latest development in their hometown. “I’m so glad that the opening day has come. I have been waiting for this for so long,” said 78-year-old Hisako Ishiyama, who, until March, lived in the city of Minamisoma. Ishiyama previously had to travel by train or in her friend’s car to neighboring towns just to shop. “Life will be easier,” she said after buying items such as a sliced raw tuna for dinner. Evacuation orders and advisories were issued for some areas in Fukushima following the disaster. Naraha was the first on which the government lifted the evacuation order for a municipality whose entire population was ordered to evacuate in September 2015. Most of Naraha lies within a 20-kilometer radius of the crippled nuclear plant, where three reactors experienced meltdowns after a massive earthquake and tsunami hit the eastern Japan in March 2011. As of the end of May, 3,343 of 7,046 registered residents have returned to the town. The town of Naraha, Fukushima Prefecture, has opened a shopping center for the benefit of residents who have returned following the earthquake and nuclear crisis in 2011, and to encourage others to come home. The area where the 3,300-square-meter complex is located includes public housing and medical institutions. Ten businesses including a supermarket, hardware store and restaurants opened their doors on Tuesday. The evacuation order in Naraha was lifted in September 2015. As of the end of May, nearly half the town’s former inhabitants had come back. The town has begun operating free shuttle bus services between all its districts and the center to make life easier for those who return. One woman said she’s happy that the center is accessible and that it will become a place where the townsfolk can socialize. Owing to an earthquake and the resulting tsunami that occurred on March 2011 in central-eastern Japan, the Fukushima Dai-ichi Nuclear Power Plant was damaged by several hydrogen explosions. 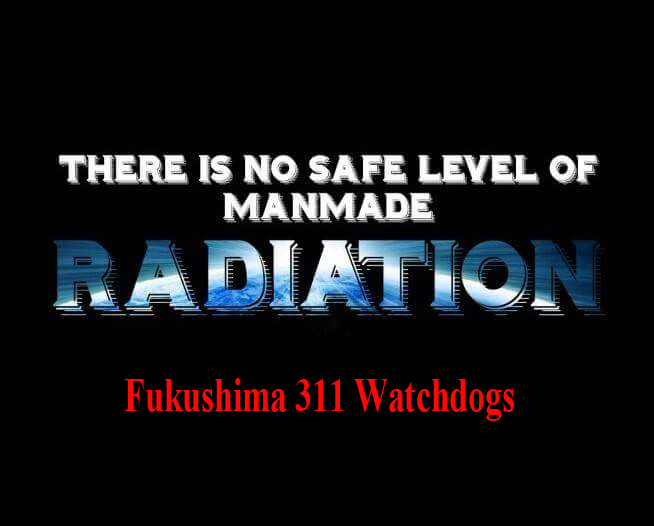 This accident released a vast amount of radionuclides, including caesium 134 and 137 (ca. ratio 1:1). Initial fallout contaminated cultivated soils (mainly paddy fields), forests, water bodies, residential areas, asphalt and concrete surfaces. Since then, a variety of decontamination practices have been completed, reducing the ambient dose rates. In a recent study, published in Environmental Pollution (available online since April 19, 2018) and conducted by Prof. Yuichi Onda (University of Tsukuba, Japan), Dr. Manuel López-Vicente (EEAD-CSIC, Soil Management and Global Change Group), and staff of Onda’s Laboratory and Asia Air Survey Co., eight decontamination practices were evaluated in a forest plantation located 16 km southwest of the power plant and within the exclusion area. The stand is composed of a forest plantation of Japanese cedar (Cryptomeria japonica) and natural understory vegetation. This plantation has an age of 58 years (in 2017) and is located on a steep hillslope (average slope gradient of 25⁰) near Kawauchi village, in the Fukushima Prefecture. Ten runoff plots were installed and managed by the Fukushima Prefectural Forestry Research Centre. Radiocesium (Cs-137) concentrations and activities were calculated in soil and litter samples over 27 months (May 2013 – July 2015) and after decontamination practices. One plot was devoted to litter removal; two plots to tree thinning without litter removal (Th_1 with logged area, and Th_2 under remnant trees); two plots to tree thinning with litter removal (Th + LR_1 with logged area, and Th + LR_2 under remnant trees); and three plots to clearcutting with litter removal (CC + LR_1 without matting, CC + LR_2 matting with seeds, and CC + LR_3 matting without seeds). Finally, two plots (Co_1 and Co_2) remained as control plots without application of any decontamination practice. Differences were statistically significant, and researchers distinguished four homogeneous groups. Tree thinning and litter removal greatly reduced the radioactivity. Tree thinning, clearcutting with litter removal, and litter removal also had higher discharge rates than those rates in the control plots. We only observed low rates in the two plots with matting (soil conservation practice). The temporal variability was explained by (i) the different rainfall depths registered during the measurement intervals (with heavy rainfall events and typhoons: accumulated precipitation from 14 to 361 mm during the measurement intervals); and (ii) the fluctuations of the total ground coverage (canopy and surface). The vegetation recovery after the countermeasures triggered a reduction of hydrological connectivity in all compartments of the forest plantation. This fact explained the decreasing trend in radiocesium concentration that was very high in 2013, high in the first half of 2014, moderate in the second half of 2014, and low in 2015. This tendency will reduce the possibility of secondary pollution of the neighboring residential and/or agricultural areas. The average proportions of the contribution of Cs-137 discharge by soil and leaf fraction were 96.6% and 3.4%. These findings are described in the article entitled Radiocesium concentrations in soil and leaf after decontamination practices in a forest plantation highly polluted by the Fukushima accident, recently published in the journal Environmental Pollution. This work was conducted by Manuel López-Vicente, Yuichi Onda, Junko Takahashi, and Hiroaki Kato from the University of Tsukuba, and Shinya Chayama and Keigo Hisadome from Asia Air Survey Co. This research was funded by the project “Development of techniques for migration control against radioactive substances in forests (2012-2016)” of the Japanese Forestry Agency; and was carried out by Dr. Manuel López-Vicente during his postdoctoral stays at the University of Tsukuba (Prof. Onda Laboratory) in 2015 (Research Fellowships Program of the Canon Foundation in Europe, call 2014) and 2016. Lies, lies… and more lies!!! The three ministers also agreed on a policy to discuss the problem of plastic microparticles and their effect on marine pollution at a Group of 20 ministerial meeting on energy transitions and the global environment for sustainable growth in Karuizawa, Nagano Prefecture, next June. In addition, they adopted a joint statement including a pledge to promote information sharing on the problem of venomous fire ants, which have over the past year repeatedly been brought to Japan in containers shipped from China. The ministers also decided to hold next year’s tripartite meeting in Japan. It has been held annually in rotation among the three countries since 1999. TOKYO – While Japan’s government clings to atomic power even after the Fukushima nuclear crisis, its private sector is moving ahead with more use of renewables to power their operations amid growing international awareness of global warming. The statement that the company is considering this option was made for the first time the Janapese Times (Nihon Keizai) reported. Before the accident, Fukushima No. 1, with its six power units with a total generation capacity of 4.7GW, was considered one of the 25 largest nuclear power plants in the world. While there are only four power units at Fukushima No. 2, they were all shut down after March 2011. Although there were serious problems with the emergency cooling system after they were shut down, the temperature of the reactors and the situation at the nuclear power plant could be quickly brought under control. The emergency situation at the power plant was lifted on December 26, 2011. However, since then, it has not resumed work. According to TEPCO estimates, the closure of the Fukushima No. 2 power plant will require approximately 280 billion yen. In addition, another 22 trillion yen will go to the ongoing cleanup of the Fukushima No. 1 plant. Japanese media have reported that the company was forced to take such a radical step because of the concerns of residents of the prefecture and the demands of local authorities. The potential dangers caused by natural disasters on the Japanese islands were also taken into consideration. Just this week, after an earthquake in Osaka, all the nuclear power plants located in relative proximity to the epicenter were inspected. Expert Mikhail Rylov from the Center for Nuclear and Radiation Safety told Sputnik that it would be difficult to relaunch the Fukushima No. 2 plant. Mr. Rylov noted that the decommissioning of the power plant is the best option in the current situation despite the fact that dismantling the plant is also a hard process. “It takes several years to dismantle a nuclear power plant to the state of a ‘brown lawn,’ when not only equipment that was not intended for further use, but all the radioactive waste is removed from the site. The site can be used for other purposes, including for the needs of nuclear energy. But to bring the site of the former nuclear power plant to the state of a ‘green lawn’ will take several decades. ‘Green Lawn’ is a complete dismantling of reactor facilities, buildings, and disposal of radioactive waste with the complete elimination of all traces of NPP activities. Ideally, the final stage of the decommissioning process of a reactor should be a ‘green lawn,’ which means it would be safe for a public park or to build a kindergarten. How far will the Japanese company go, it’s hard to say. After all, there was still no official notification about the closure of the station,” the expert concluded. The No. 4 unit at the Genkai nuclear power plant in Saga Prefecture restarted operations last week after it met all the requirements imposed after the Fukushima No. 1 plant accident. It became the ninth nuclear reactor to be restarted after new tougher requirements were introduced. A demonstration was held against the resumption of operations and people demanded that the country’s energy policy be changed. The mayoral election took place in Rokkasho, Japan, on Sunday June 24th. M. Mamoru Toda, pro-nuclear fuel cycle incumbent mayor was reelected with 5021 votes. Ms Junko Endo, anti-nuclear fuel cycle candidate gained 323 votes. The results show the extreme difficulty of anti-nuclear movements in local elections. However, thanks to the courage of Junko Endo, 323 voters were able to express their desire to stop the nuclear fuel cycle, and many people in the world became aware of what is happening in Rokkasho Village. Thank you Ms ENDO for your courage! Thanks to all of you who sent encouraging messages to Ms Endo that were gratefully forwarded to her. Let’s keep on following events in Rokkasho from all over the world! Mayor election in Rokkasho Village, Aomori Prefecture, Japan: A small village where world nuclear risk is at stake. Junko ENDO for Mayor, Rokkasho village, Aomori Prefecture! !